Having trouble with your car? 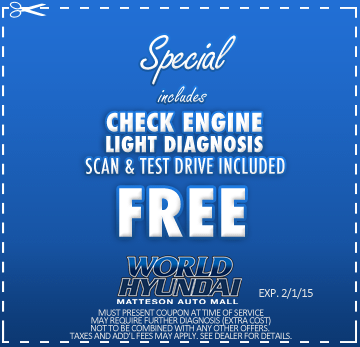 Use this convenient Check Engine Diagnostic coupon and bring your vehicle to World Hyundai when you see your check engine light come on! We’ll see what your vehicle is trying to tell you and let you know how you should proceed. 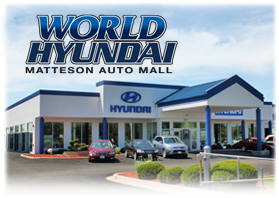 Coupon expires February 1, 2015.